Video: Liverpool move came far too soon for a man who watched English football pass him by | The Transfer Tavern | News, breakdown and analysis on all things football! Liverpool broke their club record to sign Andy Carroll for £36m on the deadline day of January 2011, but he would go down as one of the worst signings in the club’s recent history. Wearing the number nine for his boyhood club Newcastle, the Geordie netted 11 times in 19 appearances during the 2010/11 season. His physical, direct style proved unstoppable for many Premier League defences, and Kenny Dalglish liked what he saw. After accepting a £50m bid from Chelsea for star striker Fernando Torres, Liverpool focused their attention on the next best thing, sealing Carrol to a five-and-a-half-year deal. At age 22, the deal seemed like a great investment, but it would quickly turn into a costly mistake for the Anfield hierarchy and Carroll himself. In hindsight, the forward had only spent half a season in the Premier League, so the risk was high. Liverpool, however, were willing to take it with the Torres deal piling on the pressure to find a replacement with just one day of the window remaining. Carroll was handed the weight of the number nine shirt, which he had no problem wearing for Newcastle – but things were different in the North West. An injury forced him to wait two months for his debut, and he scored his first goal against old-rival Sunderland in the Premier League during October. After only scoring one more time that season, the pressure was on the 2011/12 campaign. A goal in the League Cup in August was not followed by another strike until October when his form picked up briefly. Jamie Carragher claimed his late, headed goal to defeat city-rivals Everton in the FA Cup final was “worth £35m in itself,” but the board most likely thought otherwise. That and a goal during their defeat in the final were to be the highlights of his Liverpool career which ended that summer. On deadline day 2012 Carroll agreed to go on loan to newly promoted West Ham, where they paid his wages and £2m to take him off Liverpool’s hands. Seven goals in 24 appearances was enough to seal a permanent move in May 2013 for £15. The Anfield dream was over. A number of injuries have since plagued the forward, who showed glimpses of his old Newcastle form every now and then. His natural finishing ability has been showcased since, but good runs have been stunted by long-term injuries to his medial ligament and knee. 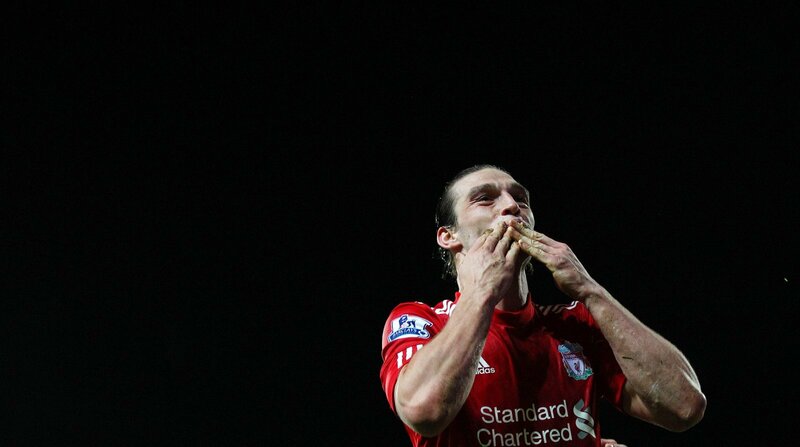 Still aged 29, Carroll has more years to dominate Premier League defences, as he’s shown he’s capable of. But now it seems injury will limit a career that could have been so different had he stayed at Newcastle and not rushed to the bright floodlights of Anfield too soon.